If you are not completely satisfied with your purchase you can return the item to us unused in its original resaleable condition within 14 days of receipt. Returned items should be unused and must be returned in original packaging with any enclosed documentation and fit for resale. We will issue a full refund on receipt, excluding the original delivery charge. Alternatively, if preferred, we will exchange the item. You must follow our returns procedure by filling in a returns request from your account area and awaiting further instructions before sending your products to us. Goods will only be accepted for return if they are despatched within 14 days of delivery, unless we have notified you otherwise. The item is your responsibility until it reaches us. Therefore for your own protection we recommend that you send the parcel using a delivery service that insures you for the value of the goods. The cost of returning the item to us is your responsibility. Any defective product must be returned in its original packaging, along with your receipt to the place of purchase. The warranty will not be valid to products showing abuse, damage or in our judgement not defective, nor will it apply if the product has been tampered with, altered or repaired other than by the manufacturer or its authorised agents. 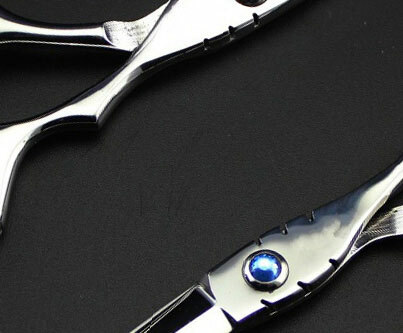 The warranty does not apply to scissors that have been dropped or where the blade has been damaged after a period of use. If a scissor blade is damaged when the item arrives please return before use. Please check scissors for damage on receipt, as after use scissors can only be replaced for manufacturer fault and not due to damage to the blade. Warranty on electrical goods vary. Please see the information provided with your product.